The Netherlands is having an election on Wednesday, but all parties agreed to suspend their campaigns because of the Islamic terrorist attack in Utrecht. Protests scheduled for today have also been canceled, and the Dutch flag is flying at half mast. Dutch authorities say the perpetrator of the Utrecht attack is an immigrant from Turkey. He shot at least eight people. Three were killed, and three others remain in serious condition. 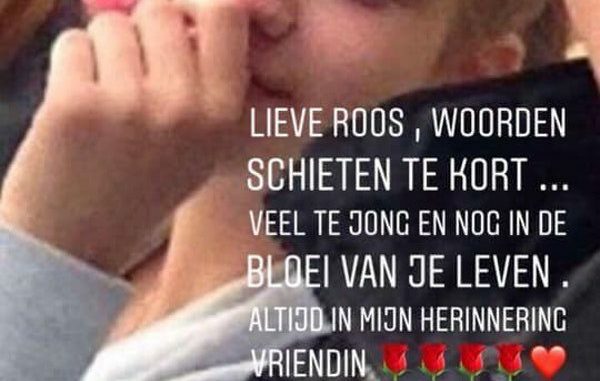 One of the victims has been identified as a 19 year old female named Roos Verschuur. The other two are unnamed males aged 26, and 49. Authorities say none of the victims were known to the shooter. Some major media outlets originally aired false claims that the shooting was over a family-related dispute. Police also found a note in the attacker’s getaway car pertaining to Islamic extremism. Two other people connected to the shooter have also been arrested and Dutch law enforcement is on high alert. Utrecht is the historical center of the Christian religion in the Netherlands. In fact, one of the male victims is said to work at a local Christian school. However, in recent years there has been a huge influx of Muslim immigration. The city is now 21% non-Western foreigners, with the bulk being from Turkey and Morocco. On Wednesday, the Dutch population will elect new governments for the twelve provinces of the Netherlands. The people who are elected will then elect new members of the Dutch Senate on May 27th. The Netherlands has no election threshold. That means any party that gets any votes can potentially get a share of the seats. The country is known for having a huge number of parties. There are several conservative/right-wing parties. The most well known is the Party For Freedom [PVV] led by Geert Wilders. This party was founded in 2006 and is already a staple of Dutch politics. There is a new right-wing party, founded in 2016, that is expected to do well called Forum for Democracy [FvD] led by Thierry Baudet. These two parties are both getting ten percent or more in the polls. There are two other small conservative parties that are part of the ECR. These are the Christian Union [CU] and the Reformed Party [SGP]. The SGP is a Calvinist religious party. There is also the Christian Democratic Appeal [CDA], which is part of the EPP. Since the Christchurch massacre, there have been deadly attacks by Sunni Jihadists in Mali, Nigeria, Israel (West Bank), Syria, Afghanistan, and the Netherlands.